A pupil of Dante Gabriel Rossetti and a protégé of John Ruskin Edward Burne-Jones belonged to the second generation of the Pre-Raphaelite Brotherhood, creating a narrative style of romantic symbolism steeped in medieval legend and fused with the influence of the Italian Rennaissance. He became one of the most sought-after painters in Europe. Edward Burne-Jones (1833-1898) and William Morris (1834-1896) met whilst at Oxford taking Holy Orders. Here they gained inspiration from the writings of Ruskin, and decided they wanted to become artists. 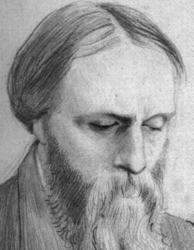 Ruskin saw the work of Rossetti and the Pre-Raphaelite Brotherhood as ‘the dawn of a new era of art’, and Burne-Jones went to London to seek out Rossetti. 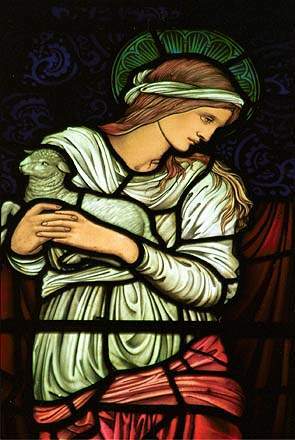 Rossetti had a contract with Powell’s Glass Works to design stained glass windows, and he introduced Burne-Jones to them. Burne-Jones worked for them from 1857 until William Morris formed ‘The Firm’ in 1861. Morris, Marshall, Faulkner & Co, later to become Morris & Co, had as members Dante Gabriel Rossetti, Philip Webb, Edward Burne-Jones and Ford Madox Brown. They created murals, carvings, stained glass, metal work, embroidery and furniture. Their success was mainly due to Morris and Webb’s associations with architects, church decoration being their most important activity. 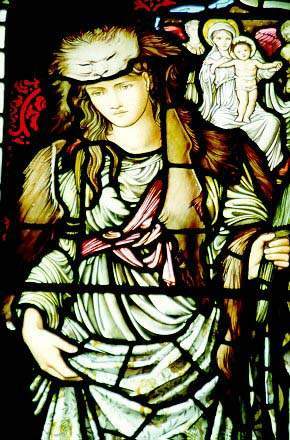 When Burne-Jones joined The Firm in 1861, his job as stained glass window designer at Powell’s went to his friend Henry Holiday. Burne-Jones died on June 17th 1898. Six days later at the intervention of the Prince of Wales, a memorial service was held at Westminster Abbey, the first time any artist had been so honoured. There are many places where the paintings and drawings of Burne-Jones may be seen. The main collections are The Tate Gallery in London and the Birmingham Museum and Art Gallery. Carlisle Art Gallery at Tullie House has a good selection of works. The William Morris Gallery at Walthamstow in London has a representative selection of tiles, windows, embroidery, paintings and drawings produced by the Morris Company. After the death of Morris and Burne-Jones, the Company continued under J.H. Dearle and W.H. Knight. Several windows in Cumbria are from this late Morris period – Wigton, Scotby, Cliburn, Plumpton Wall, Eaglesfield, Hensingham, Muncaster, Ulverston St Mary, Allithwaite and Field Broughton. The Morris firm ended with the death of Dearle in 1940.